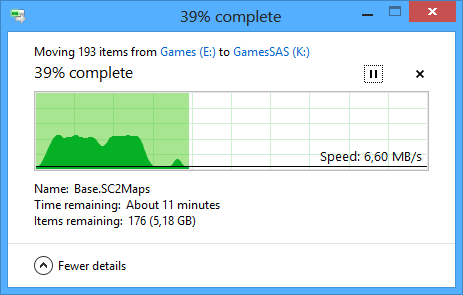 I bought a Seagate Cheetah 600GB ST3600057SS SAS hard drive and it has a problem with file transfers. I have tested it on three different PCs and three different SAS Controllers. Transfer rate with a Seagate Cheetah 15.7k and a WD VelociRaptor 600GB is initially fast, 80-100MB/s, but later it slows down to 10MB/s and stays there. I tested some more, and HD Tach seems to reproduce the issue. I got a new drive, and it has the same problem. I tested it in a different computer this time, and it was now detected by Seatools. I ran three tests, and they all passed. 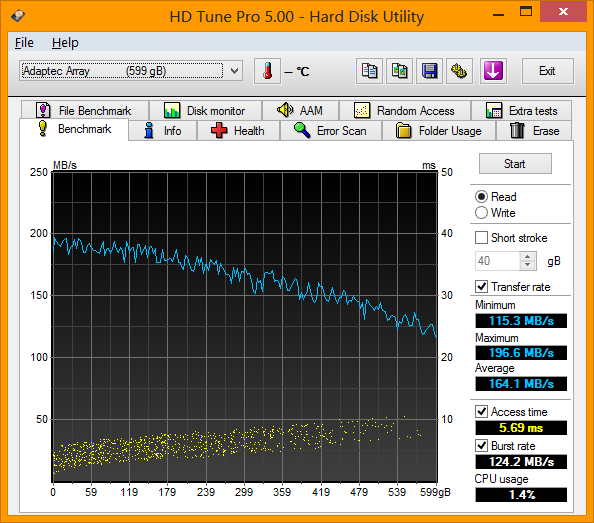 I switched for a Hitachi 15K600 Ultrastar 0B23663 HUS156060VLS600 and write performance is fine, both in Windows 7 and Windows 8. – I apologize for any inconvenience this may have caused you. Unfortunately we do not have any tools that test the sequential write performance. 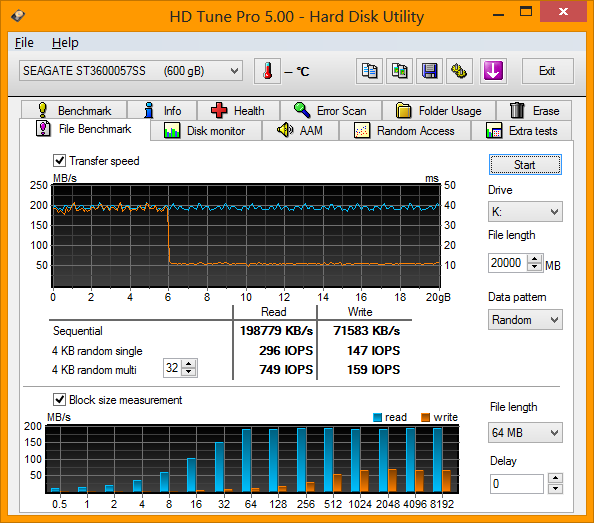 Normally if there are issues with the drive , Seatools would fail the tests or give you an error code. This means that Seagate does not have any way of testing performance, and you are stuck with a problematic drive. Due to this, I won’t be buying Seagate products for a while. I was lucky that my retailer where I bought the drive accepted my returns and let me change to a Hitachi drive.